The SCT 42ND STREET cho­rus struts out the show’s open­ing number. Joy Clark plays the small town girl about to make it big on Broad­way, while Steven Orr por­trays the tough but big hearted pro­ducer who helps her become a star. Don’t miss Lori Gilbert’s fab­u­lous 42ND STREET pre­view piece in the Thurs­day, June 30 Stock­ton Record. The show opens Fri­day night July 1. Cur­tain is at 8:00 p.m. pre­ceeded by a grand open­ing night recep­tion with com­pli­men­tary food and bev­er­ages begin­ning at 7:00. 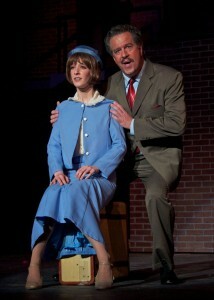 Buy tick­ets today at the Box Office (209) 473‑2424, or online 24/7 at www.sctlivetheatre.com. This entry was posted in General Information on June 30, 2011 by stocktoncivictheatre. 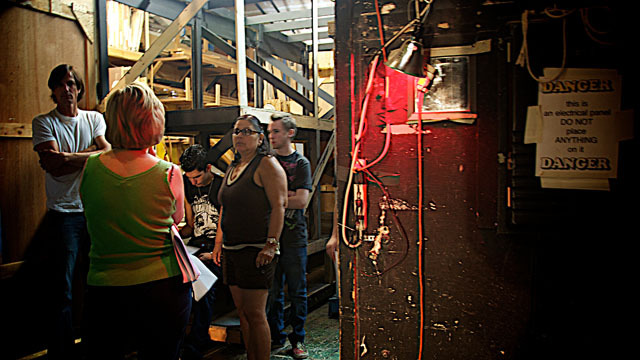 Scenic Designer Brian John­son and Stage Man­ager Putsy Hong (with glasses) con­fer with Assis­tant Stage Man­ager and Prop­er­ties Mis­tress Elaine Sac­ulla (back to cam­era) while two stage­hands await decisions. 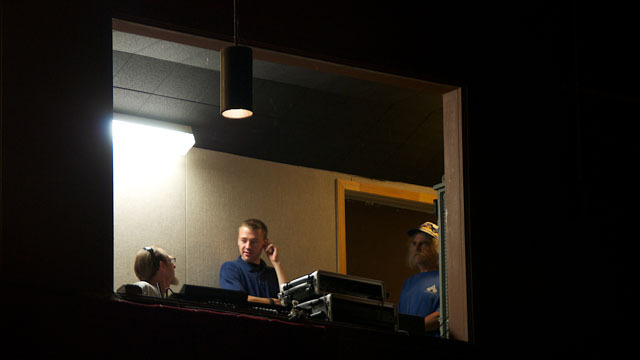 Sound Designer Darin Alsup works with vol­un­teer tech­ni­cians in the audio booth. 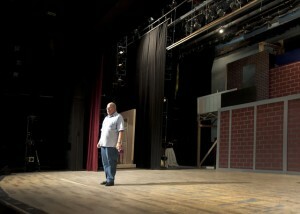 This entry was posted in General Information on June 26, 2011 by stocktoncivictheatre. Set Designer and scenic artist Brian John­son (left) dis­cusses the com­plex “jig­saw puz­zle” of mov­ing set pieces on and off stage dur­ing the show. Audi­ences nor­mally see stage­hands only as they move around onstage in the semi-darkness between scenes. 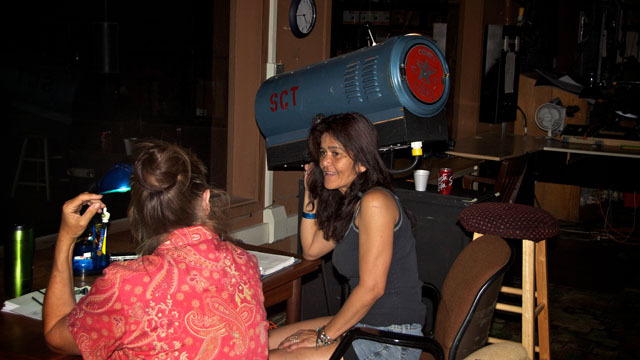 Light­ing board oper­a­tor Annie Ojeda pro­vides light­ing sup­port on many, many of SCT’s shows. There are many, many peo­ple behind the scenes who are as impor­tant to the suc­cess of any show as actors, singers, and dancers, but who are never seen by audi­ences. 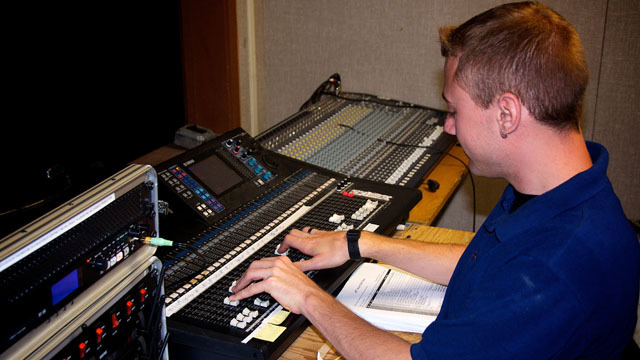 These include sound and light­ing tech­ni­cians, dressers, stage­hands and many oth­ers. On this “Tech Week­end,” we give recog­ni­tion to a few of those hard workers. 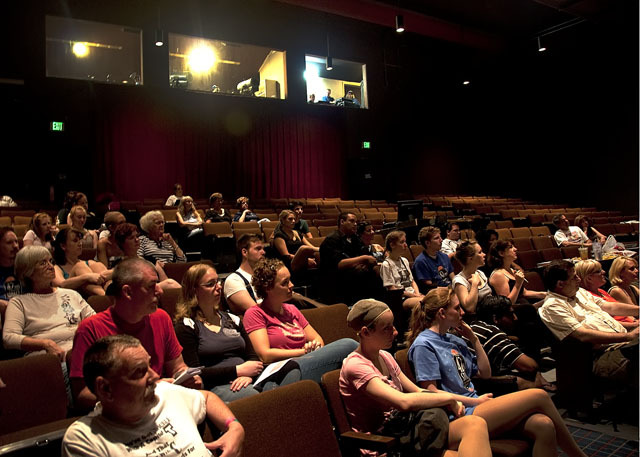 The cast and crew for 42ND STREET sit in house seats as they hear direc­tor Jim Cole­man give the first instruc­tions for “Tech Week­end.” Begin­ning June 29, audi­ences can see these actors in full cos­tume and makeup at the Pre­view and Open­ing Nights. 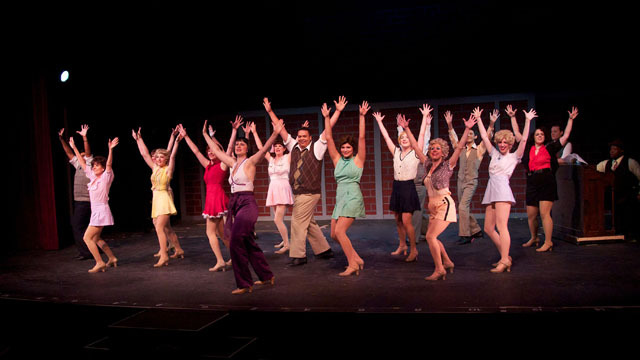 The biggest week­end for SCT’s 42ND STREET, of course, will hap­pen less than seven days from now, with pre­view night on Wednes­day, June 29, and open­ing night on Fri­day, July 1. For the direc­tor, cast and crew how­ever, the sec­ond biggest week­end occurs before an audi­ence ever arrives, on Tech Week­end. It’s at this time, on this Sat­ur­day and Sun­day, that the show is quite lit­er­ally put together, where audio and light­ing cues and every other minute detail of the pro­duc­tion are decided upon and rehearsed. Finally, dress rehearsal arrives on Mon­day and Tues­day evenings, and then the audi­ences arrive. Stock­ton, we’re almost ready for you! Please don’t miss the show, begin­ning next Wednes­day and con­tin­u­ing through July 24. Buy tick­ets at the Box Office (209) 473‑2424, or online 24/7 at www.sctlivetheatre.com. 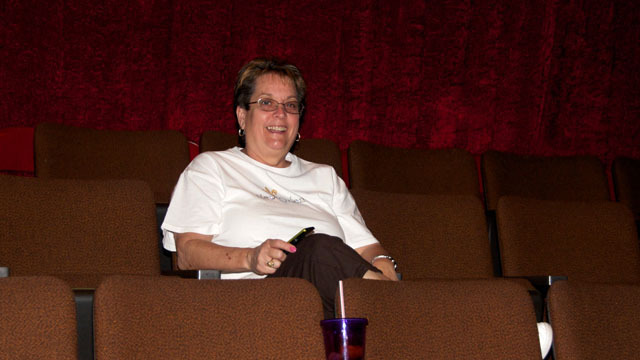 This entry was posted in General Information on June 25, 2011 by stocktoncivictheatre.